"When I reached 10 years of age my father decided that he would become a preacher. I myself was baptized at the age of 11. Later I attended Northeastern Christian Jr. College. I received my AA degree and then transferred to Abilene Christian University. While at ACU I became involved with the mission dept. I thought that I could find the relationship with God in the mission field. However, during the year at ACU I really began to question the scriptures and my personal basis for faith...no one could give me answers. I felt doomed and very lonely. I wandered around to different denominations within Christianity and none satisfied me. I felt so empty — an incredible void in my soul. During my search for God I met an Algerian man at work. We started seeing each other and within a few months we were married. We didn't really talk too much about religion. He did however loan me a Qur'an in English, I thumbed through it and told him it was similar to the Bible. Later as our relationship hit bumps and I had unexpectedly got pregnant, all the religious issues surfaced. Unfortunately, actually a blessing from Allaah, I lost the baby at 13 weeks. Within a couple of months my husband began going to the mosque on a regular basis. One day he brought home some fliers and booklets. 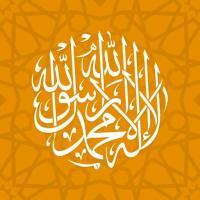 Among those was the Embryology in the Qur'an. I could not believe what I read. The descriptions in the Qur'aan of the baby's conception and the development in the uterus fascinated me. I was so amazed with what I read. I began to read everything that my husband brought home and left on the coffee table. I finally found the answers within Islam to the questions I had all my life. I could not think of any other questions or arguments to support a decision against Islaam. I had no choice but to submit to the will of Allaah...knowledge makes us accountable for our actions. I took the Shahada (testification of faith).